What is EEBUS? - EEBus Initiative e.V. To achieve the climate goals, the global CO2 emissions must be significantly reduced. As a result, the share of renewable energies is constantly increasing – at the same time, the availability of wind and sun is fluctuating. To make efficient use of these fluctuating amounts of energy while electrification is constantly increasing, it is necessary to shift energy between sectors in addition to the use of storage systems. 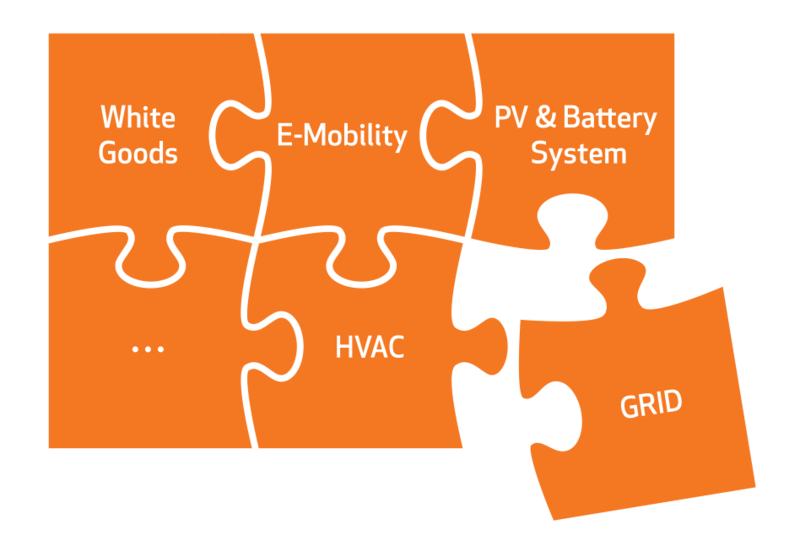 Sector coupling combines the individual energy sectors of electricity, heat and mobility and thus creates the possibility of demand-optimized energy distribution.nIn order to enable a reliable energy supply with the slightest possible grid expansion, we need a solution that manages the distribution to avoid load and generation peaks. Consumption and generation will be balanced. The most important prerequisite is the exchange of information to coordinate and shift the energy between an intelligent power grid and the individual components in the households and buildings, e.g. photovoltaic system, battery storage, heating and electric vehicle. The solution is a standardized language for energy. In this way, an efficient and sustainable energy system becomes reality. With a manufacturer-independent and standardized language, EEBUS is counteract the proprietary protocols with a global language for energy. One common language that every device and every platform can freely use – regardless of the manufacturer and technology. EEBUS is license free and can be implemented by anyone. 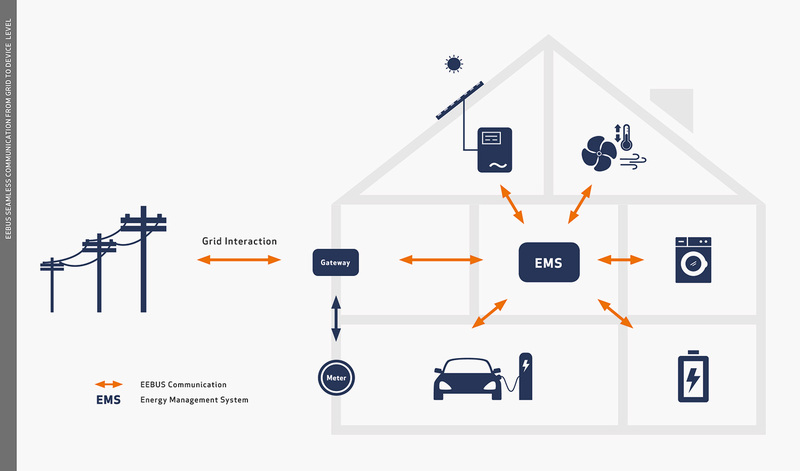 The EEBUS specifications enable the development of a future-proof, maintainable and simple device interface, whether for connection to local energy management or to the world of numerous platforms in Smart Home & Building. In the field of energy management, EEBUS enables the development of applications – from self consumption optimization, tariff-optimized device operation through to network-beneficial behavior. The EEBus Initiative e.V. 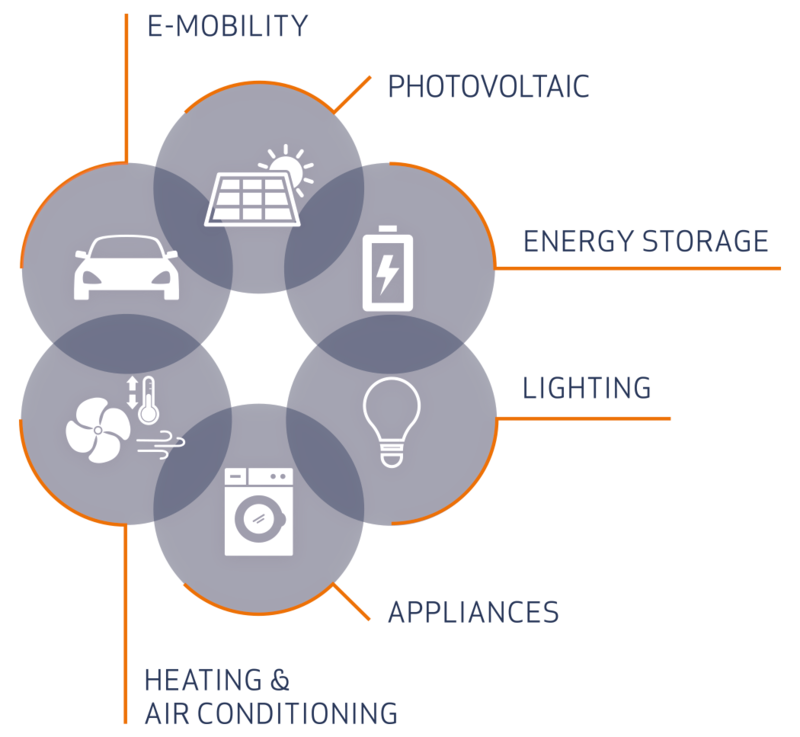 is a non-profit association with leading manufacturers from the sectors of networked building technology, electromobility and energy. The cross-industry network plays a central role and through this exchange a common understanding is developed, creating the basis for new use cases and business models. The EEBUS organizes business workshops as well as technical work meetings. Global cross-industry network with direct contact to the decision makers of leading companies – you join the common Solution Business. Solution Business creates new target groups and increases market potential – be part of a holistic solution instead of niche solution vendor. Use our proven processes to convert business models into technical specifications and market-driven solutions – e.g. system validation through joint plugfests. Investment security through standards-based solutions that are incorporated into international standards and coordinated with other international organizations. Reduction of R&D costs – common interface reduces complexity.